Two shallow earthquakes have struck off the northern coast of Vancouver Island within 10 minutes on January 14, 2017. 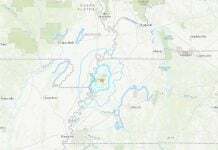 The first tremor (M4.0) occurred at 10:54 a.m.. About 10 minutes later, a 4.3-magnitude earthquake struck in the same area. 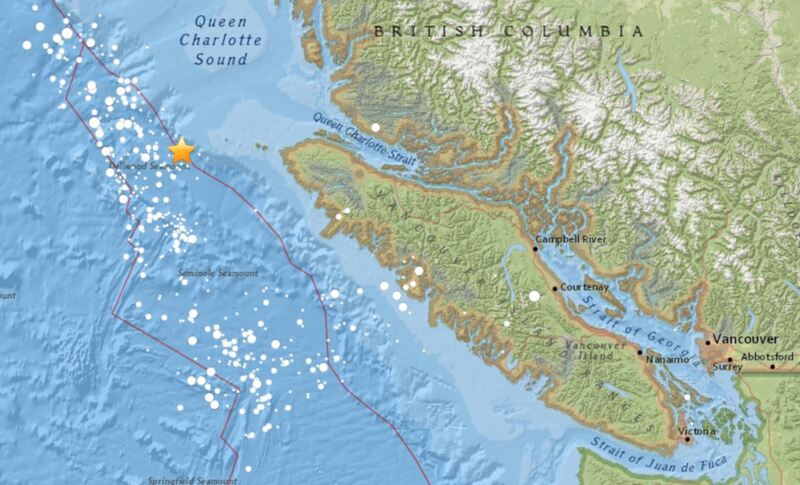 The epicentre for both quakes was 159 kilometres west of Port Hardy, at a depth of 10 kilometres. Seismologists do not expect it to have been felt on the Island. 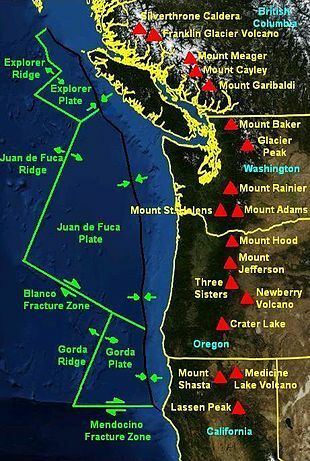 The Cascadia Subduction Zone is a very active region. It’s a part of the plate margin, the region between the Pacific plate and North American plate where we see hundreds of earthquakes each year. 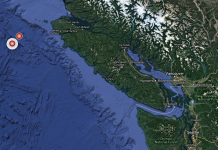 The earthquake waves tend to lose quite a bit of energy as they travel from the oceanic plates onto the continental plate, onto Vancouver Island. 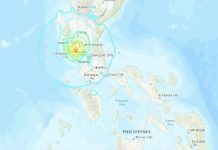 A 6.8-magnitude earthquake was recorded back in 1991 along the same offshore-fault.